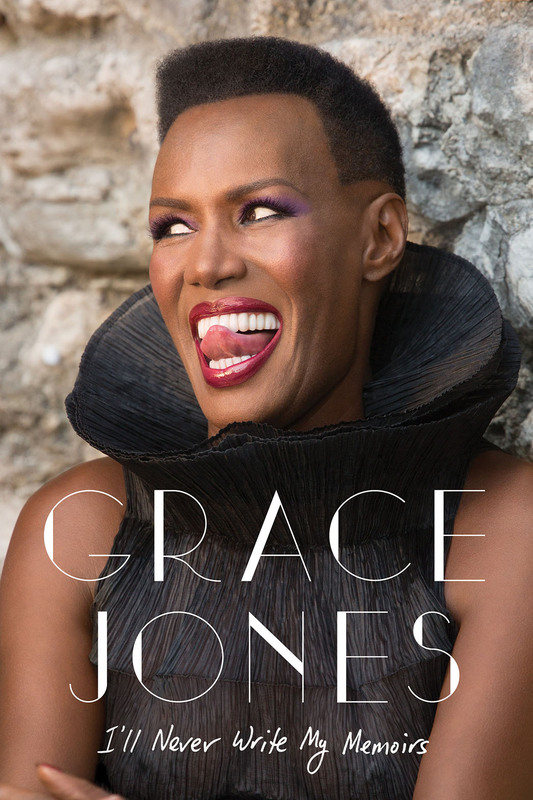 Grace Jones’ new autobiography, I’ll Never Write My Memoirs (written with Paul Morley), is about longevity. It’s a spiritual guide on how to survive the art world without selling your soul. If you want to know how to remain original and relevant, Jones will show you the way. I doubt Jones spent 50 years discovering herself and honing her art so that commercial artists like Rihanna could spend a couple of hours copying it, but she holds no grudge. She sees herself as a teacher: “What is teaching but passing on your knowledge to those who are at the beginning?” she wrote in an oft-quoted excerpt from the autobiography. While so many entertainers today conform, play it safe, and quickly become predictable, Jones had vision. How does one channel the spirit of Grace Jones? Well, in her own words, “to be tough, you need to be vulnerable.” She was subjected to heartbreaking abuse as a child when her parents left Jamaica to set up a better life for themselves in the U.S., leaving Jones and her siblings in the hands of a strictly religious grandmother and her extremely violent husband called Mas P. Every night was church night with Mas P, and the children were under constant surveillance. “It was all about the Bible and beatings. We were beaten for any little act of dissent, and hit harder and harder the worse the disobedience,” Grace remembers. From the day she left Jamaica to join her parents in the States, she swore never to to conform again. Performance became a form of escapism for her, a way of moving beyond the whips and prayers. All the abuse had formed her character and prepared her for dealing with authority, including the mad dogs of the music business. 1. You’re not getting older, you’re getting wiser. 2. Be your own sugar daddy. 3. Always have your own apartment, even when you’re married or in a relationship. 4. Try everything once, and if you like it, keep trying it. 5. Explore a world of no watches. 6. To live an artist’s life, you must always be traveling. 8. Be alone, but not lonely. 9. Fame doesn’t make you somebody; you already are somebody. 10. Ego can get in the way of growth because it makes you think you know it all. And, as a bonus: Live a long, fast and fabulous life. Read a recommendation of a recent Grace Jones reissue by dance music historian Tim Lawrence here.